Most homeowners spend most of their time trying to decorate the interior of their homes. They also allocate a large budget towards decorating the interior of the home. They fail to recognize the effort and backyard as some of the parts which have huge opportunities. Freshening your home front, backyard and landscape is among the things which will add great value to your resale value. Value addition to your outdoor space is more than just having green lawn in place. A well landscaped yard will be more appealing than just a landscape with plain grass. It is very easy to liven up your landscape during weekends. There are several landscaping ideas you can try at home. After you apply the following landscaping ideas, you will have a lively backyard within no time. Adding a fire pit will allow you a great place where you will gather at different seasons of the year. There are several designs of fireplaces available, you can have simple metal styles or any other style you may consider suitable for your backyard. There are several garden stores which sale the fire places. In order to decide on the most suitable style, start by figuring out what you will be using. If you will like a fireplace for roasting food, then you need to go for a cheaper metal bowl. If you will like to create a stylish backyard, you can as well go for custom made designs. If your neighbors are too close to an extent where you feel your privacy has been infringed, then you can do yourself a favor after you decide to install a tree barrier. You will not necessary have a fence, but planting trees in a specific order will offer you great privacy. Large trees can easily obscure the neighbors. Some of the trees you can use to achieve great privacy include cypress, boxwood shrubs and bamboo. If you will like to achieve more out of your backyard, you can consider adding dining area. It will serve as a great place for fresco and dinners. You can decide to have a picnic table, outdoor kitchen or just a large patio made out of stones. For a cozy feel, you can add decorations. By just placing a grill nearby, you will be ready for BBQs as well as Sunday brunch area. Water will bring serenity ad calmness to your backyard. They are very easy to install. For waterfalls and ponds, you can buy ready made kits. You can as well resort to a DIY project to have the items in place. In order to create your own outdoor oasis, you can add few goldfish to the pond water. If you have things such as utility meters, air conditioning units or old buildings, you can cover them up and make them less appealing by placing a lattice fence around the items you consider less appealing. You can as well add tall potted plants to cover the blemishes. Always ensure there is enough ventilation. Whenever it comes to owning a home people always look for a place where they can live a peaceful and relaxed life. Many people even plan for years to own a dream home of their life. 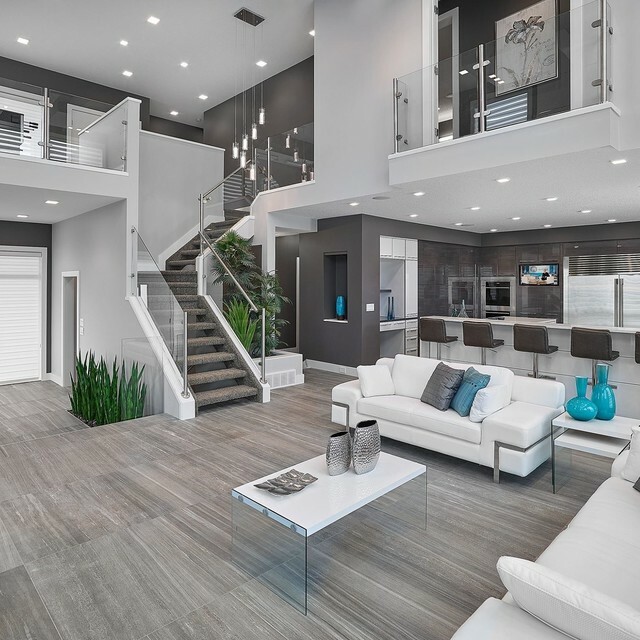 So, it is quite important for everyone to make a house that can provide a great staying experience to the people who are living in the house no matter whether you are making the house for your own living or you are making it to sell. While building a house people always gives more importance to the design of the building but along with the house the backyard is also a significant part of any house. Because of small space many people avoid the backyard and focus only on making the house but being a wise homeowner you have to also consider decorating the backyard in order to make the house a perfect place of living also a perfect home for selling. Here, we have mentioned some really great small backyard ideas that can help you build a great backyard in the small space of your house. Creating a perfect deck needs a little planning and effort which can help you to transform your small space into an excellent deck that will make everyone jealous. So what are the efforts that you have to make? How you are going to use the space the backyard is very crucial. You can design the exterior by adding a dining table with some nice chairs along with a patio umbrella to make it a perfect place to enjoy some relax summer time with family. If you have some more space available you can arrange some more seating place or a fire pit. You can also add some patio furniture if you want to make it more interesting. Adding pathways in your backyard is a great idea to enhance the beauty as well as to make the space look quite bigger. You can add black or white stones to the pathways to make it look beautiful. You can also divide the space of your backyard through the pathways and then use the space of both sides by adding patio furniture or you can also build a small garden using flowers and plants. The choice of the color can bring a considerable difference in the look of your backyard. As the space of the backyard is small you will not get chance to add just whatever you want and therefore you have to plan each thing wisely to make it look perfect. Color is one of the important factors that can change the view of the deck. Try to use a colour which is bold, decent and able to give the yard an intense look. Whether it is the color of the furniture, patio umbrella or choice of the flowers in the garden, everything must complement each other. If you want to make your small backyard look awesome then plan the deck wisely. If the space is small then try to keep it simple but elegant. Do not try to pack the space with so many items, as it will make the space look messy. 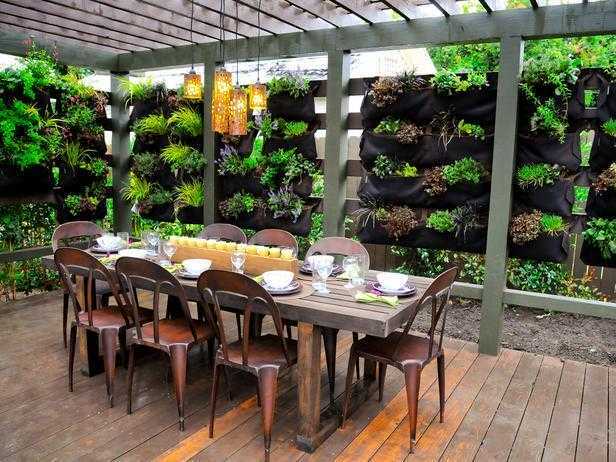 Hopefully the above given tips have provided you some really great ideas about small backyard decoration. Now, it is your time to use these ideas and create a great backyard for your home. What Window Treatment Should You Choose? Some great and beautiful windows in your home are very important. These windows add a character to your house and also provide some natural light through it. Without proper windows, any home is incomplete and unfinished. You can choose among curtains, blinds and cornices to design the windows in your own style. Before you decide what treatment you want, you need to know the function of it that you want and also how you want it to visually look like. Is the window for your home office? Then the blinds will be a good choice as it blocks out the glare of the sun. And if you are looking for classy and elegant touch for the windows in dining room, you can choose the cornice. It is a stylish option. And if it is meant for your privacy then opting for the opaque material will be the best choice. These are the most classic and elegant window treatment idea. But due to their traditional nature and looks, this option is often ignored in the contemporary homes. It can be paired with curtains as well as painted or stained. If you choose for this make sure you opt for professional carpenter to get it done. The cornices hide the hardware used for curtains. It is also available in luxurious detailing such as crown molding. This gives a regal look. 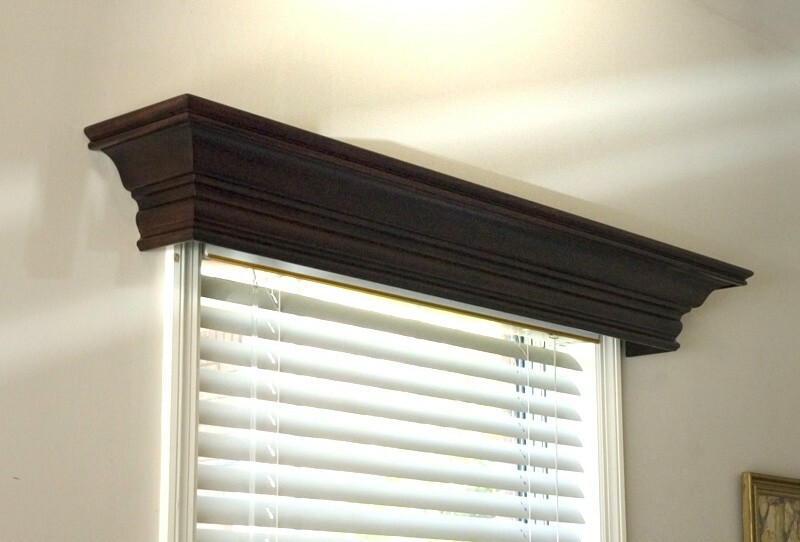 If you are fond of the clean edge look but the budget is low for those customized cornices, then you can paint the windows mullions, sill and frame. This way you will get a beautiful look of the windows without dressing it with any curtains. It is better to try the bold colors in order to highlight the view. If you are going to resale it then it is better to consider dark colors for a more chic look. Without the ultra-rich look of opaque panels, the window treatment ideas will remain incomplete. Velvet can block lights as well as give a lavish look to the room. Beside this, other great choices can be suede fabrics, silk damask and chenille weaves. Unusual colors will provide better impact. It is a unique idea though it is not used much in the USA. It requires a hinged curtain rod in order to move the curtain to stand at a 90-degree angle from the window. These are inexpensive but a brilliant idea for window treatment. Sheer is the bestseller and undoubtedly they look great and gorgeous, regardless of the room. It doesn’t even cost much. It offers privacy as well as allows enough light to come in. White sheers can provide a beautiful, elegant and breezy feel to the room when it is hung from ceiling to the floor. Choosing sheer in a pastel shade is the best choice you can make. In a home, more time is spent in the living room than in any other room. It acts as a multi-purpose space for play, relaxation, entertainment, and conversation. When undertaking remodeling or redecorating, you should give careful thought on how you can maximize both living room comfort and utility. A nifty way to make sure you never go wrong is to always ensure your living room has a strong focal point. Most living rooms have inbuilt focal points such as fireplaces, but you can always develop your own such as an entertainment system. Regardless of what you love doing most in your living room, the creative ideas below will give you illuminating insight on how you can transform your living room into a space you will always delight in. Utilize your rooms fireplace to create a warm living room centerpiece that is inviting and oozes warmth. You can go for rustic hues or select deep, wood shades depending on your predisposition. If you go for a dark fireplace or mantel theme, beautifully contrast it with brightly colored furniture and accessories to achieve a balanced feel. If dark is not your thing, blue or light stone hues can give that airy vibe. A well selected sectional sofa can act as your living room’s centerpiece and at the same time avail ample sitting space for your whole family. A white or cream sectional can be enhanced with well-decorated pillows, while a dark-brown or black leather sectional can give your room an executive but cozy mood. Sectionals are particularly ideal if you are into minimalist themes since the need for room accents and other decorations is greatly minimized. Place your sofa table lengthwise behind your sofa to create a functional space. You can also place your sofa in the middle of the room facing the room’s centerpiece or the main wall. You can further utilize heavy decorative items like a statue, a vase, or an oversize piece of art to give your room a distinct and sophisticated look. The underlying idea when using a sofa and sofa table is to create sections that will enhance both functionality and substance. If you love having people over, neatly arrange your furniture to create a tranquil living room centerpiece where you can easily converse and entertain guests. A coffee table surrounded by armchairs or two leather/suede sofas arranged lengthwise should do the trick. If space is what you are after, you can join two coffee tables and arrange arm chairs on either side in a boardroom kind of style. A built-in bookshelf can create a classic, strong and distinct focal point. It is a particularly ideal alternative for those who wish to have a strong focal point but are limited by lack of a mantelpiece or fireplace. You should adopt a minimalist approach when decorating the rest of the room to ensure that the bookshelf takes center stage. 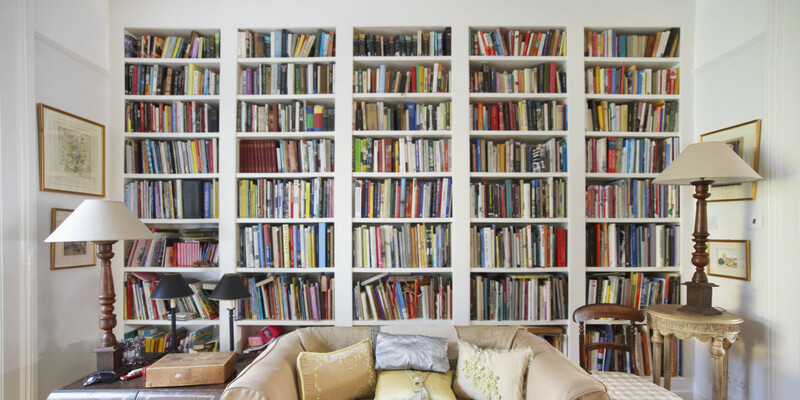 Remember to stock the bookshelf with books you love to add a touch of character and personality. Rewrite written by: ContentKing101 You can say that your living room is the “public place” of your home. It’s the room in the house in which you will most likely hosts your guests, friends and/or family. It doesn’t matter if you prefer a living room that is mellow and relaxing, or something that is vibrant and bold, the important here is that you have a living room that is just as unique as your personality. One of the easiest and cost efficient ways of injecting more personality to your living room is the application of new paint color. A paint is a flexible medium that can greatly help in projecting the mood that you want, and without breaking the bank while doing it. You can get inspiration from these paint ideas for your living room. Yes, it’s that easy to transform one of the most used rooms in the house. An accent wall is a great medium to use if you are aiming for something with a bold shade that is able to overwhelm the room. An accent Wall is also a great idea if you want to create a focal point for your living room. For the best effect, an accent wall is a great idea if you want to frame a collection of art or bring into perspective a great architecture feature. With accent wall, you are not limited to using a single color. You can even use stripes as a means of melding several colors in the decorating palette. Most people overlook the ceiling when they think of decorating. However, adding the right color can greatly enhance the color dynamic of the room. This is especially true if you choose a color that works well with the wall color. You have the option of brightening the room by using bold colors, or you can have a subtle effect using muted shades. If your ceiling is low, you can make them appear higher by using lilac or blue color. It’s a great way of making the room bigger than it appears. Opening to the idea of painting your floors opens a new world of possibilities. You have a lot of options, like staining a concrete flooring or painting it. If you want that modern simplicity effect, then bright works very well. If you want something that is in-line with a more traditional look of the checkboard design, you can paint two contrasting colors in a checkboard pattern. Concrete floors can be really sleek with the use of the ultra-shiny epoxy coating. You also have the option of staining the concrete to create a subtle finish that imitates the look of a quarried stone or marble. 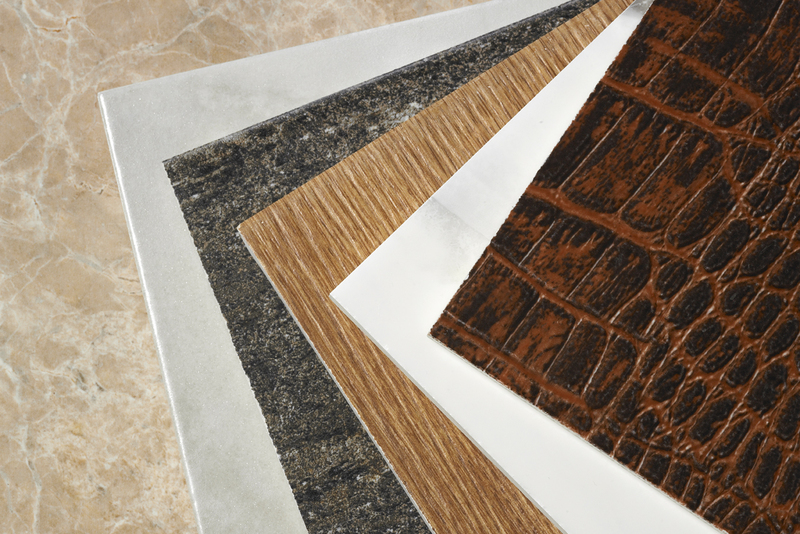 You can push that envelope further by integrating texture paint treatments. You can use stripping or rag rolling. Marbling is also a great technique if you want more than one color. The Faux painting might take time to master, but the effects are worth the effort. Fortunately, you can use specialized rollers and brushes to get the effect faster and easier. Adding texture to your ceiling or wall is an easy way to instantly make your living room more luxurious; especially if the technique is applied on the accent wall, and making use of neutral pallet that comes with a fine degree of contrast between the different shapes as a means of keeping the treatment subtle. Creating a custom mural for your living room is perhaps one of the most adventurous ideas. You can choose to have a full-wall masterpiece or small accent. Full rainbow color or monochromatic colors, its all up to you. You can freely emulate works of art from your favorite artist or design something that is of your own. Feel free to hire a professional if a mural painting is not in your skillset. If you are concerned about the effect of the mural in relation to the resale value of your home, you can simply hang a large artwork instead.